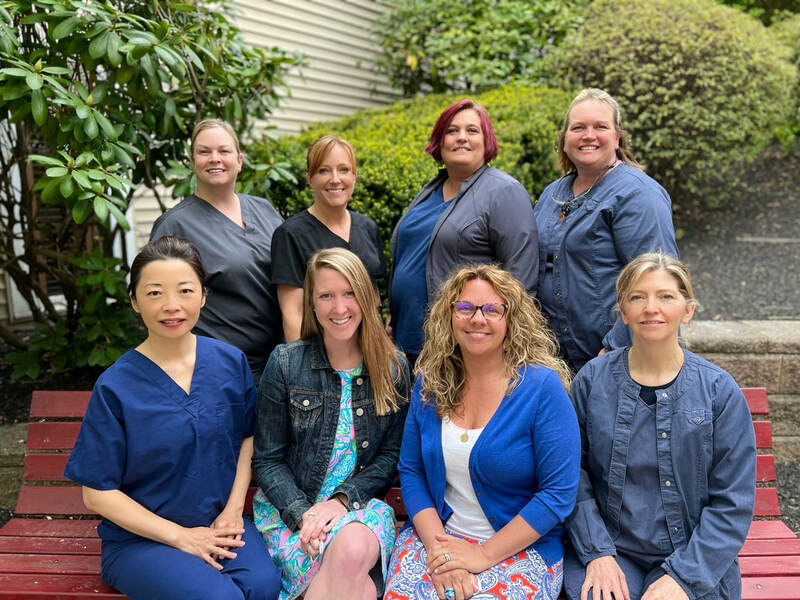 Joann, Whitney, Jess, Susan, Chris, Dr. Eunson, Janyce and Vicky work to provide you with your best dental experience. ﻿ We at Eunson Dental focus on being able to provide our patients with the best dental experience! We strive to provide excellent customer service and of course, excellent dental treatment. This all starts with a great team. When you arrive, you will be warmly greeted by either Chris, Janyce or Jessica. Depending on what you are scheduled for, you will either see Dr. Eunson's assistant Joann or one of our hygienists - Vicky, Whitney or Susan. After your visit, you will again see Chris, Jessica or Janyce on your way out. They will schedule your next appointment and help determine your financial responsibility and any estimated any insurance payable. Throughout your visit, our goal is to provide you with personalized care by our attentive team. Overall cleanliness – This is an office priority and we utilize meticulous sterilization techniques by meeting or exceeding recommendations of the ADA and OSHA. Digital xrays – reduce radiation exposure by up to 90%. They also allow us easily review them with side by side with patients immediately. Intraoral camera – enables us to see and diagnose concerns and issues more easily and share them with you. In office lab – For fast delivery and reduced costs of night guards, bleaching trays and denture repairs. Latex free office - latex allergies are a real concern for some patients. Flat screen TV’s in treatment rooms - these allow Dr. Eunson to review your dental xrays and photo's side by side with you in treatment rooms; They are also great for patient entertainment to watch TV or movies during treatment. We value your time – we plan to see you at your scheduled appointment time. Since we do not double book, it is essential that you arrive on time for your appointment. Reduced paper and paperless charting – we are moving closer toward a paperless office to reduce our impact on the environment. Electronic claims – enables submissions to insurance companies to be handled more quickly and therefore allows us to communicate our findings to you more effectively and efficiently. Relaxing Reception area - while rarely enjoyed for long by our scheduled patients since we strive to stay on schedule, you will find a refreshment station stocked with a Keurig machine and a water cooler for guests to enjoy coffee and tea, hot chocolate or spring water. Free WiFi - Comcast hotspot available to everyone. Headphones in the operatories - enjoy TV or music and relax during your treatment. Highly rated dental materials - well researched products chosen from independent reviewers to provide long lasting results. Well respected dental laboratories - Your dental work stays here in the USA!